Ye sons of the Gael… Gaelic sons all proud and strong are we. We Highlanders choseth this goodly ground justly-wise where we shall fighteth and die to liveth as free men from the tyrant’s cruel hand here upon Bannockburn with Wallace yet burning in our hearts. Yea, Edward took our Bruce’s fair daughter, wife and all his lasses, and his brothers dealt he worse than very death…no mercy was giving nor held…only the pulling asunder of life and limb. Behold, that braggart Bohun mounted upon his charger with vengeful lance besets our mighty Bruce, who remained rooted as an oak, lacking he a qualm and unflinching was he, when, therefore, with but a mere amble of his palfrey cleaved he Bohun’s helmet twain…from his brow to his chin with his justly ax wielded he heavenward from astride his most noble stirrups. 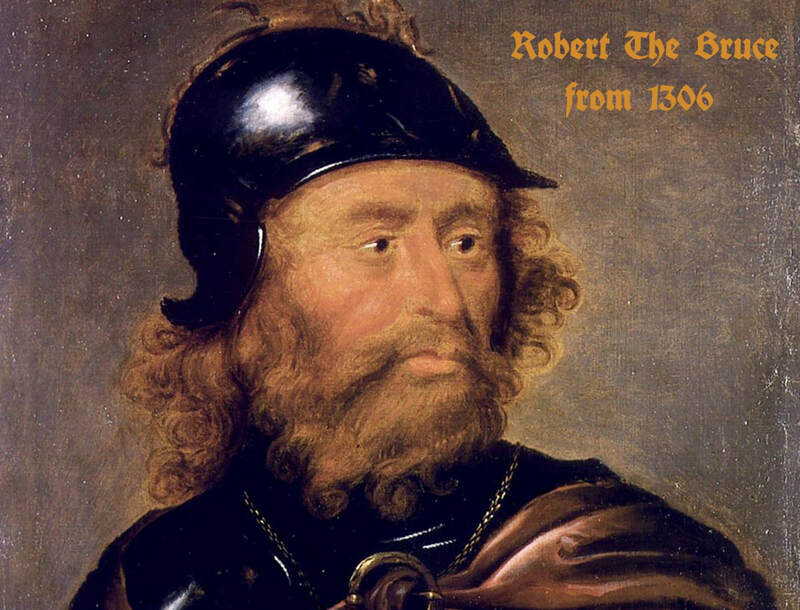 We Scots forever proud and free maketh our stand here upon Bannockburn…outnumbered are we, but St Columba is in our midst. St Andrew and the Baptist have blessed our standards; we march forth under the golden dawn as free Scots all…most fearless and gallant. Many a brave brother and lad will payeth the toll, and shall we recompense thrice unto our foes with death’s grim wage. We Highlanders shall doeth our part with fist, bone, and steel. We shan’t bend our knees to the likes of Edward…nor his sons…nor sons yet to be. For we are free Scots all as God doth deems…we knowest not the heel of the oppressor nor his lash…we liveth only as freemen dwelleth they in liberty without blemish. For we Scots only kneeleth before The Most High for leniency for our misdeeds…nay…not for lowly Edward’s benevolence, and henceforth we emerge from the blind of New Park…their heavy knights shall soon fear our spears, they shall render their bloody fare under our righteous might. With flags unfurled our flanks are secure, for yonder rides Keith’s horsemen, beneath the glorious colors of St Andrew ’s Cross. Behold, our Bruce calls forth his bold Highlanders and all our brothers from the far-flung isles, and thus Edward crumbles underneath their most valiant ranks. Undone…undone are thee Edward…what was that oath thou swore at the Feast of Swans…to thwart our Bruce was it? Now you abscondeth back across the burn from whence you forded…and thus our victorious call arises, ‘On them, on them!’…for you faced free Scots all…willing to kill, and if needs be die for liberty’s justly cause. ​Always remember, Edward, you faced free men square, for we shall remember thee always of how righteous favor triumphed tyranny.